Massachusetts casinos are going to shake up the regional casino market, potentially drawing customers from Connecticut, New York and other states while keeping local gambling dollars in the state. And while it will still be some time before major casino projects in Springfield and the Boston area are completed, the first salvo in New England’s casino wars is still expected to be fired this summer. According to Penn National Gaming, the Plainridge Park Casino is on schedule to be opened by June 24. That’s notable not because the project is on time, but because of the historically bad weather suffered throughout much of New England this past winter, where many locations recorded some of the snowiest and coldest weather in history. That weather is likely to delay many construction projects throughout the region, but didn’t slow down the building of the slots parlor. The facility will not be able to offer table games, but will have other electronic machines along with slots; two full casino resorts have already been approved in the state, and a third could still be licensed later this year. However, the public report released Thursday did note that the estimated cost of building the facility has increased over the last few months. The price tag is $25 million more than previously thought, now rising to $250 million, of which about $145 million has been spent so far. The slots parlor is a much smaller project than the full-scale casinos that will be opening in the years to come. 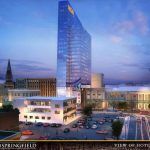 MGM is building a resort in Springfield that is scheduled to open sometime in 2017, and is estimated to cost $800 million to complete. Meanwhile, Wynn Resorts will be opening a $1.7 billion resort in Everett, just outside of Boston. That complex could open around the end of 2017. There’s also the potential for a third casino to be built in southeastern Massachusetts. State regulators have set a deadline of May 4 for applications from developers interested in building in the area, and several serious contenders have already emerged, including Foxwoods, which is partnering with KG Urban Enterprises in hopes of building a casino in New Bedford. Meanwhile, Crossroads Massachusetts is working on a proposal in Somerset, while Rush Street Gaming would like to place a casino at the Brockton Fairgrounds. 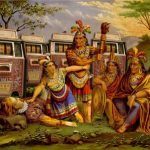 All of these projects could face trouble if the Mashpee Wampanoag Tribe receives federal recognition. That tribe is hoping to build its own casino in Taunton, a project that would fall outside of the Massachusetts licensing process. It’s even possible that the state could license a casino and then the Mashpee could get their own permission to build a resort of their own, a situation the state gaming commission initially tried to avoid by delaying the licensing process in that region while the tribe sought federal recognition. Meanwhile, other states are looking at how to compete with the new casinos being built in Massachusetts. Connecticut is currently considering allowing up to three smaller casinos, at least one of which would be located near the Massachusetts border, while Rhode Island may move a casino to Tiverton, very close to where a southeastern Massachusetts resort would likely be built. New Bedford The Casino Cradle of Political Corruption ? In 2010 Governor Patrick announced the building of the New Bedford Marine Commerce Terminal. The cost 35 million. Since the departure of Governor Patrick the state was left 1.8 billion in debt. New Bedford city officials, business leaders and state leaders prior to construction of their ocean port went on an all expense paid taxpayer trip to Bremerhaven, Germany to look at their ocean wind turbine port with a 3000 foot wide birth to the open ocean . The idea was to come back with a great story and sell the public on building an ocean wind port in New Bedford. They came back and told the public through the news media nothing but good news. This is where from day one the New Bedford terminal went wrong. The legal width clearance at the harbor entrance to the 50 year old hurricane gates is only 120 feet. The largest ship ever to go through the gates was 82 feet wide. Ocean wind turbine barges don’t fit through the gates. This is where the corruption and bizarre story starts with hundreds of millions of taxpayer dollars. The ocean wind port for Cape Wind had already been built and permitted by BOEM, Bureau of Ocean Energy Management at Quonset Point, Rhode Island with crane service five years before the construction of the New Bedford terminal ever started. Massachusetts officials testified at legislative bond committee meetings they were 100 percent sure Cape Wind was going to build their turbines out of New Bedford all along knowing New Bedford had no federal permits and the hurricane gates were too narrow. The Massachusetts Clean Energy Center has now poured 113 million into the incomplete financial fiasco. The terminal sits today with no rail link, no cranes and a federal channel that needs to be dredged for 5 miles outside the hurricane gates to the ocean. In addition an AM radio station sits on four acres of the property. 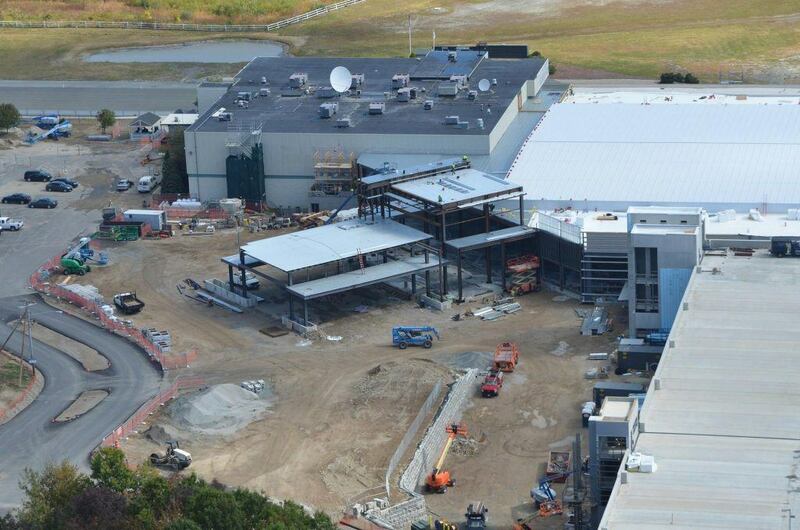 The Massachusetts Clean Energy Center when asked about all this only says they are going into phase two. MassCEC CEO Alicia Barton now indicate s that a wide range of cargo could flow through the terminal — from fruit, to sand to heavy industrial boilers. This is how renewable energy tax receipts and green energy bonds were spent ? The interest alone being paid for by taxpayers on the bonds in $187,500.00 per month. Now comes the Casino. The New Bedford news media and politicians have been pushing Climate Change as a means to justify building the ocean wind turbine port. These politicians and green journalist have been touting the sea level change and increasing heat in the atmosphere. The New Bedford state and local politicians have pushed for an all out war on fossil fuels to justify spending hundreds of millions of dollars on an ocean wind turbine port with a 120 wide opening. New Bedford officials now want to build a 650 million dollar ocean front Casino at old toxic Cannon Street Power Plant behind a series of dikes and hurricane barrier built in 1965. The New Bedford Hurricane Protection Barrier lies across New Bedford and Fairhaven Harbor. Construction of the New Bedford Hurricane Protection Barrier was completed in January 1966.The project is divided into three principal features: a barrier extending across New Bedford and Fairhaven Harbor with an extension dike on the mainland; Clarks Cove Dike in New Bedford; and Fairhaven Dike. Clarks Cove Dike consists of earthfill with stone slope protection. Fairhaven Dike consists of earthfill with stone slope protection. The City of New Bedford and Fairhaven maintain the project, with the exception of the navigational gates and barrier extending across New Bedford and Fairhaven Harbor. The 50 year old gates are operated and maintained by the US Army Corps of Engineers just like New Orleans in 2005. A 2014 climate change assessment shows that a category two hurricane or above would result in the inundation of the entire port areas . The public is being kept well in the dark over this report. 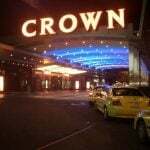 The report remains hidden from the public because the climate change report interferes with the new agenda of building a casino that could very well put the public at risk. They took hundreds of millions of taxpayers money to build the incomplete ocean terminal there is only one thing left your safety and your life. The same people who for years have been describing Polar bears stuck on little pieces of ice, global warming,sea level rise don’t want you to read the recent 2014 publication about sea level rise in New Bedford Harbor ? Now your public safety and global warming take a back seat to building a casino ? Page 1 under abstract : The City of New Bedford and the neighboring Towns of Acushnet and Fairhaven are particularly vulnerable to the impacts of sea level rise (SLR), especially in the event of a hurricane barrier failure in a storm. New Bedford has embarked on a series of bunco schemes of enormous consequence. The people who value intellectual honesty should not be quietly be fleeced by such mendacity, even from the government or media.